NPA FURTHER ENGAGES NIGERIAN EDITORS ON PORT RERFORMS. 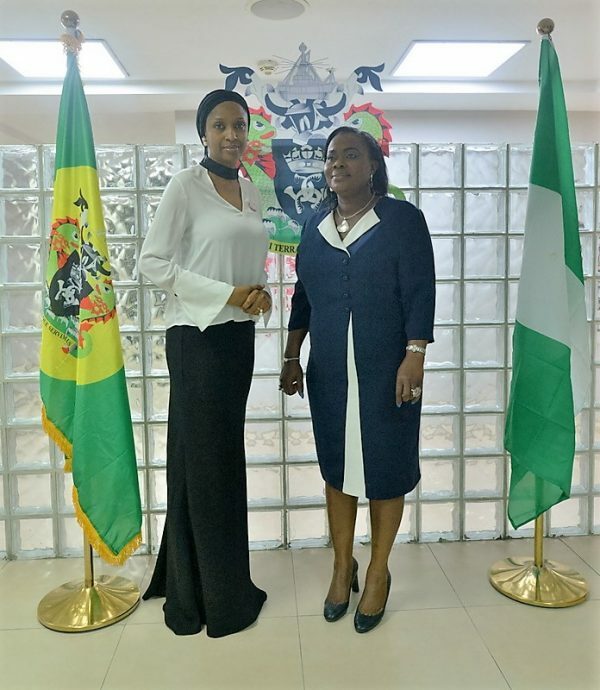 The Managing Director of the Nigerian Ports Authority (NPA), Hadiza Bala Usman has said that the Authority will partner the Nigerian Guild of Editors with a view to having a stronger communications channel to convey the gains of the current Port Reforms at the nation’s seaports in conformity with the Federal Government objectives of attracting Foreign Direct Investments (FDIs), whilst making the nation the Hub of Maritime Business in the Sub Region. She made this assertion while receiving a delegation of the Nigerian Guild of Editors led by its President, Mrs Funke Egbemode who paid her a courtesy visit in the Corporate Headquarters in Marina today. According to the MD; ‘‘We need to have strong Communications channel as we implement our reforms at the Nigerian Ports Authority. We must lay out to the public what we are doing so that we don’t spread wrong narratives to the public. We will continue to communicate with you so that you can have direct knowledge of our reforms administration’’. She further assured the Editors of the Authority’s support at all times and enjoined them to verify all issues concerning the Authority before publication urging them to collaborate the NPA management in the area of effective dissemination of information in respect of the Authority. Assuring the Guild that she would work towards attending its 2018 Conference, she called for a sustained relationship between the Authority and the Editors. On the issue of the Rehabilitation of Apapa Access Road, she told the Editors that NPA is deeply concerned about the deplorable situation of the road, adding that though it is not the core responsibility of the Authority to construct roads, it has supported the Federal Ministry of Power, Works & Housing to the tune of N1.8 Billion, noting that the Authority is willing to support further in order to surmount the challenge. She called for the deployment of Intermodal transportation system as the only way out, in conformity with global standards. Adding that information sharing is a critical tool in the achievement of robust synergy in the industry. Earlier in her welcome address, the President of NGE Mrs Funke Egbemode commended the Managing Director for efforts at transforming the Ports Industry and thanked her for granting them audience despite her tight schedules. Therefore, she pointed out that the Guild which comprises of over 600 members spread across the country’s 36 states consists of Editors in Print, Electronic and Online Media platforms. Mrs Egbemode asserted that as the final gate keepers in the Media Industry, the Guild also keeps all the nation’s leaders on their toes, noting that the elite group, is ready to partner with the Authority towards the execution of their projects. Highlights of the visit was the presentation of the Authority’s in house journal to the President of the Guild by the Managing Director.